The music of Brazil has exerted an outsize influence on jazz in the United States since at least the early 1960s, but its impact has come at a remove — largely from recordings, and the renown of a few Brazilian stars, rather than through immigration and interaction. The Blue Note Entertainment Group is hoping that a new club will help bridge the divide. In August the company, which runs one of New York’s most popular jazz clubs and has others across the world, is opening a club in Rio de Janeiro. It will be the Blue Note’s eighth jazz club worldwide and the first Blue Note in the Southern Hemisphere, expanding the franchise’s footprint to four continents. It also runs a handful of other venues in New York, as well as a travel agency and the annual Blue Note Jazz Festival. And, although the franchise’s recent expansion has not been without setbacks, the club has plans to open in other Brazilian cities over the coming two years. Mr. Calainho hopes to host Brazilian stars with varying levels of relation to jazz — like the rapper Marcelo D2 and the singers Seu Jorge and Daniela Mercury — sometimes in collaboration with American artists. The club will largely book Brazilian acts, but at least a third will be international, Mr. Calainho said. But the news comes at an awkward time: The Blue Note’s owners face questions about a venue in another city, the Howard Theater in Washington, which they run under the aegis of a different company. The Washington Post reported Tuesday that the Howard — long plagued by charges of mismanagement and unpaid bills — is being sued by a food vendor claiming $16,000 in unpaid invoices. And Howard Theater Restoration, the nonprofit that serves as the historic theater’s steward, said in April that it is working to push out the Blue Note team, as well as its partners at the Ellis Development Corporation, according to reports in the Post. The Blue Note’s executives remain proud of the high-gloss productions and high-profile bookings at their clubs, which balance an international business clientele with an appeal to die-hard music fans. They say they will bring their history to bear in Rio. At 8,500 square feet, the Blue Note in Rio de Janeiro will seat 350; digital renderings and floor plans suggest that it will be a densely packed single-floor space, much like its New York forebear. Every week, stay on top of the latest in pop and jazz with reviews, interviews, podcasts and more from The New York Times music critics. Coming soon. The club will sit along a commercial strip in Lagoa, an affluent lakeside neighborhood adjacent to Copacabana and Ipanema (the district immortalized in one of Brazil’s most famous bossa nova tunes). The building is currently undergoing a $1.2 million renovation in preparation for the club’s opening. 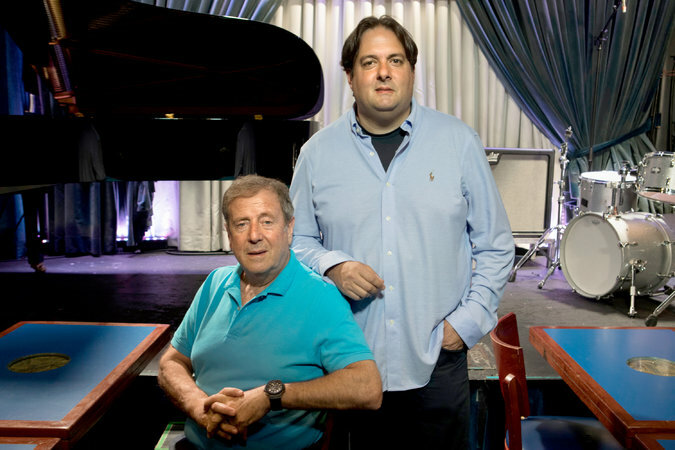 Mr. Calainho had dreamed of opening a Blue Note in Brazil since the early 1990s, when he was an executive at Sony and often visited the New York club during trips for work. In 1999 he left Sony to found his own company, which now has holdings in radio, theaters and festivals. But not until 2016 did he and Mr. Bensusan commit themselves to opening a club together. Artists and younger audiences today express a growing ambivalence toward genre denominations, and even in New York the Blue Note often books acts that range well into the terrain of folk, pop and R&B. But the term “jazz” is an important industry tool, one that can denote a consumer experience more than a particular musical style. Even in the face of difficulties in Washington, Blue Note’s international footprint appears to only be growing. Mr. Calainho said he was planning to help the company open two more clubs in Brazil: one next year in São Paulo, and another in 2019 in Recife. And Mr. Bensusan has other plans to expand in the years ahead, adding more clubs in China.